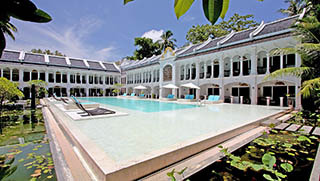 Phuket hotels and resorts are scattered all over Phuket Island. Choosing which beach to stay on is for many, the most stressful decision they have to make. 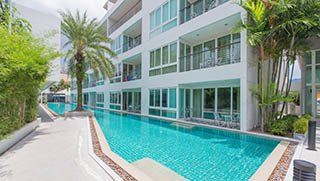 Here is a list of hotels we recommend for a headache-free holiday in Phuket. 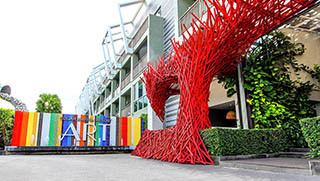 Combine it with Phuket Activities and Tours. 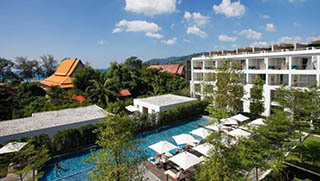 A chic stylish resort hotel just a few steps from Patong Beach. The design is modern and minimalist, using modern technology to provide a light, cool and nature-friendly environment. 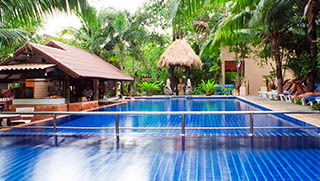 A quiet Bungalow Resort located in a tropical garden at short walk from the beach. 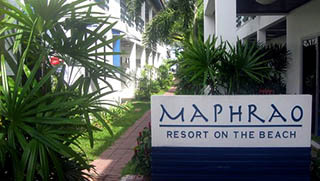 Walking distance to nightlife and the centre of Patong Beach, while far enough from the noise. This Patong beachfront hotel enjoys a quieter spot on the southern tip of Patong beach, only a few minutes walk from downtown. Beautiful views over Patong Bay and great facilities. Sugar Marina Fashion is our favorite hotel in Kata Beach. It has great value for money, it’s just a few steps away from the beach and short walk from restaurants, bars, and shops in the area. 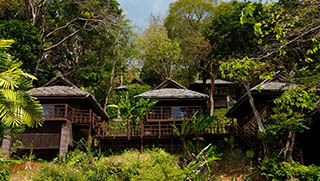 Relax and enjoy the friendly atmosphere and beauty of Kata Beach from this comfortably rustic hotel. The beach is just a few minutes walk away. Short walking distance to Kata center. 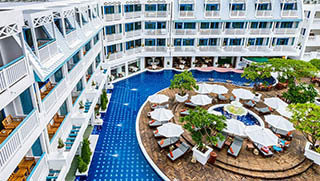 Katathani is one of the best hotels in Phuket, a 5 stars resort located right on the beautiful and quiet Kata Noi Beach. 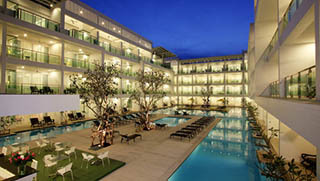 The area is secluded but still at short distance from Kata Beach town. The atmosphere in the resort’s Sino Wing will take you back to the old days of the spice trade, tin mining and Chinese junks that dominated the Phuket of the old days. The Serene Wing instead boasts modern style and architecture. 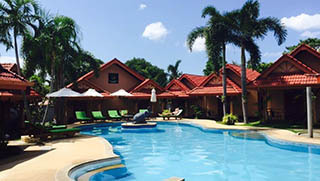 Andaman Seaview is a modern resort hotel, built in a tasteful Sino-Portuguese architectural style, with good quality accommodation and great value for money. Just a few steps away from the beach and the many dining options in Karon. 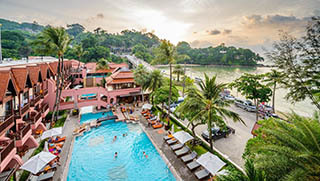 The Sugar Marina – Art resort is located on Karon Beach and offers a laid-back atmosphere where guests can indulge in several activities or simply relax by the private hotel pool. Great Value for money and convenient location. 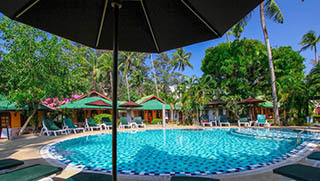 A small beachfront resort on Kamala Beach with friendly staff and great service. Right on the beach and just a 5 minute walk along the beach to Kamala center. Great value for money. The Palms Resort Kamala is the ideal choice for a relaxing and ultimate Phuket experience. Few steps away from Kamala Beach and easy access to restaurants, shops etc. Perfect for Families. Not sure about where to stay in Phuket and need some suggestions?Like to have more information?Contact us and we will give you all the suggestions & info you need for a memorable Phuket holiday. This Bungalow resort in Rawai is close to the beautiful Nai Harn Beach, however also close to supermarkets, shopping malls & entertainment complexes. 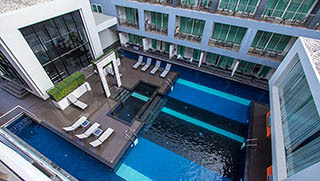 Perfect place if you plan a longer stay in Phuket, in a quiet & friendly environment. 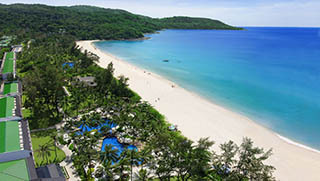 The Baan Krating Resort boasts a secluded location on the beautiful south side of Phuket Island. 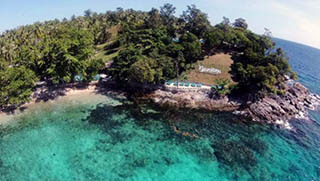 The resort has its own little private beach (Ao Sane Beach) that offers excellent snorkeling. A rustic resort surrounded by nature. Raya Resort on Raya Yai Island is surrounded by crystal clear tropical seas and snow white sandy beaches, located right on Bungalow Bay. Great place to Snorkeling & beach fans. Rayaburi Resort is located on a private property on Raya Yai Island set amongst 75 acres of coconut palms and lush tropical gardens right beside the beautiful Siam Beach. 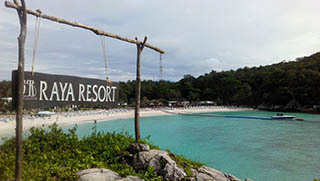 The Ban Raya Resort is located on the beautiful Racha Yai island, a short boat transfer south from Phuket. The resort is right on Kon Kare Bay, one of the best snorkeling spots on the island.